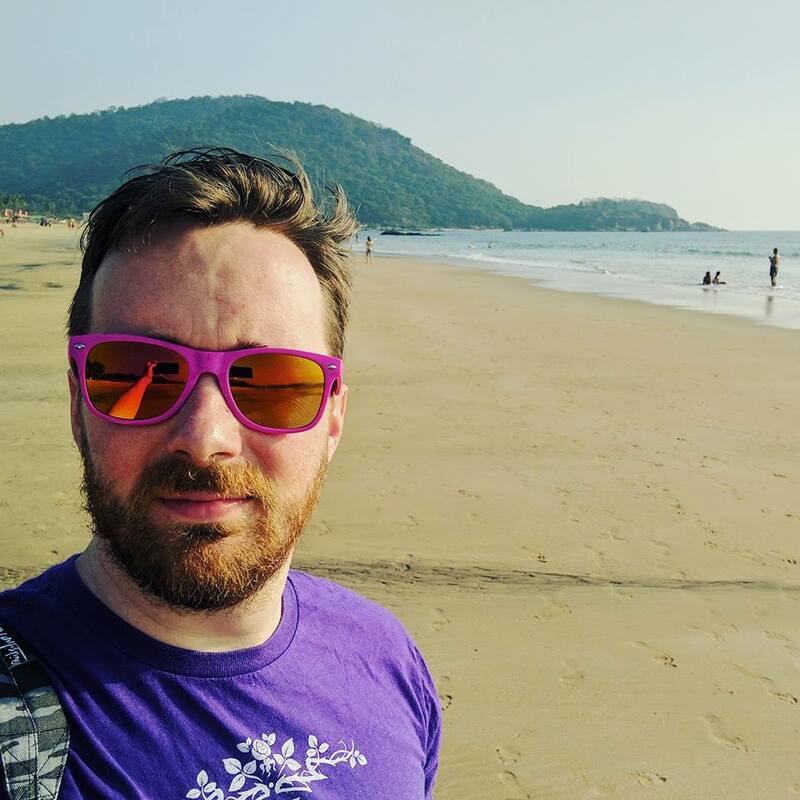 minor 9th – Simon Pearson's blog about being a part-time postgrad student, education technology, and product management. 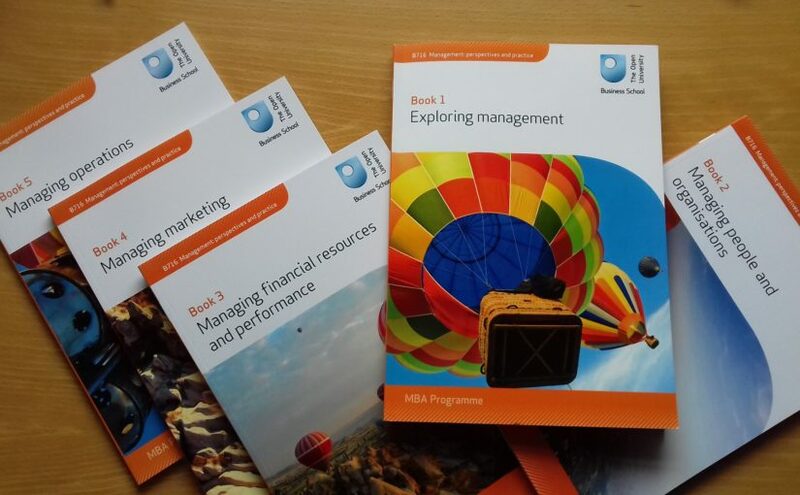 In this post, I try to summarise five reflections on the experience of joining and starting the Open University’s part-time MBA programme. I realised quite early on how lucky I was to be able to do this: I had the financial support, the support and the guts to sign up and give it a go. 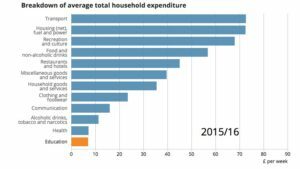 So many are not in this position: the average family expenditure on education was just £6/week in 2015/16 according to the ONS, down from £16/week in 2001/02. The underlying causes for this are varied but possible explanations lie in the drop in disposable income (and that education is seen as discretionary spending) and the government’s decision to increase tuition fees including for postgraduates in 2012. Reading vast quantities of academic material doesn’t come easy – it takes practice. Similarly, writing concisely, with a clear argument and well-referenced sources was a skill that had entirely escaped me in the eleven years since finishing my first degree (Music and Sound Recording at University of Surrey). I had to go back and find my final-year dissertation from 2005 to prove that it was something I was once capable of doing. And to start with, words would swim about on the page in front of my eyes. Luckily the Open University has loads of advice on how to study, full of tips from real learners from all kinds of backgrounds, which are reassuring even if you’ve never done it before. That said, things start quickly and the barrage of acronyms comes thick and fast. B716 (the module code), TGF (tutor group forum), TMA (tutor-marked assessment) and so on – it all feels like an alien language and quite daunting to a returning learner. Perhaps the hardest element of learning part time at distance is the loneliness. The Open University provides a number of online forums. In addition, there is a Tutor Group Forum (TGF) which in my case consisted of sixteen learners all based in the London area. Our tutor encouraged us to introduce ourselves and get to know each other, but this felt rather formal and arms-length – I didn’t feel able to share some of the feelings I was having about getting started just yet. I craved a more informal situation – the virtual equivalent of grabbing a coffee after a lecture – and the TGF didn’t provide it. The module guide suggests that studying part-time on the course would take around 10-15 hours per week. But who can really say? Everyone reads at different paces; sometimes your brain is functioning, but if you have to squeeze a two-hour study session in after a punishing day at the office, progress can be slow. 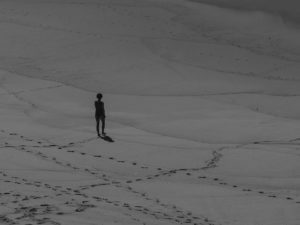 I found it hard to keep up with the materials at the time that the Open University suggested I did – sometimes getting ahead when I could, sometimes falling a number of weeks behind. This has really helped give me insight into how learners might progress through FutureLearn courses too – at FutureLearn we have tried with the learning design to keep each step of material – each piece of learning – to around 5-6 minutes or less, such that you could get your phone out on the bus and learn. With the Open University a piece of learning could vary between 15 minutes and four hours, making it quite hard to plan. 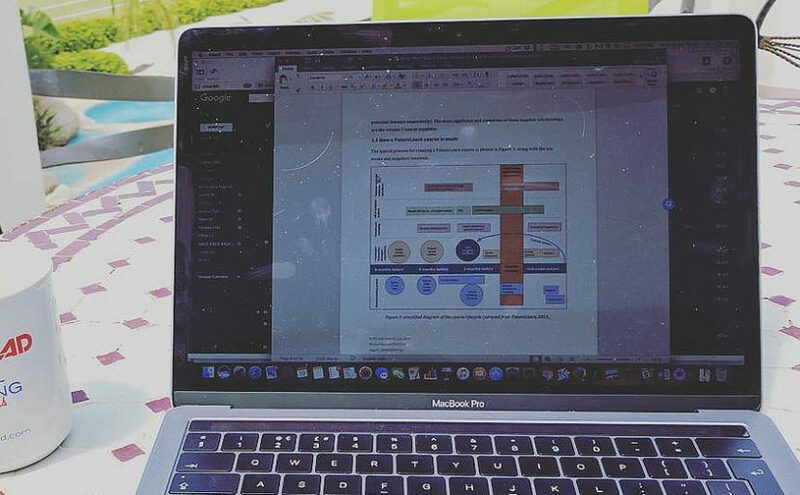 The final reflection in this post is this: whilst getting started on the course was not all plain sailing by any means, the quality of the written materials and the learning design are, in my opinion, excellent. The materials are interesting, relevant and consistently invite personal reflection. For example, even in early module materials discussing power and politics int he workplace, regular prompts to think of examples in our own workplaces really helped bring the abstract concepts to life. Bearing in mind all of the above, and also reflecting on four years experience of developing a best-in-class learning platform has led me to a few reflections for the Open University. How can they make the registration process as streamlined and as reassuring as possible? Is there a way to tailor the experience a bit for those who are familiar with studying, and provide better inline guidance for those who haven’t / need a refresher? How can the feeling of community be strengthened during those critical first couple of weeks? It’s the middle of 2016. I’ve been asked to take on a strategic lead role at work. But I don’t formally know anything about strategy. Following a short period of mild alarm and a few sleepless nights, I decide to look into my options for further study. After hunting for short courses and face-to-face offerings, I feel they are either too light, or too expensive. As I work for a subsidiary of the Open University, it’s possible to undertake credit-bearing courses at a reduced rate. I peruse online modules and settle on the first module of the MBA program, management perspectives and practice, also snappily known as module B716. I dig out my first degree certificate, send in my CV and submit my application. Then the worries really set in. What would happen to my free time? Can I still write academically, after eleven years without doing so? What if it’s really boring? Fast forward to now, and I’m looking back having completed the first year, part time. It’s been a ride. I’m hoping to lay out my experience, warts and all, of this first year of study with the OU, over a series of blog posts here. I hope to also continue it periodically as I continue through my second year of study.